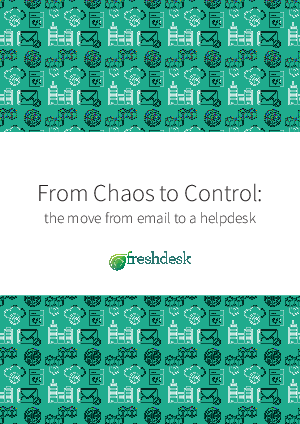 While email is perfect for one-to-one communication, it doesn't work half as well for managing many-to-many conversations like a helpdesk would. When businesses use email to support customers, they leave room for conversations to get lost, ignored or forgotten. Not to mention, the lack of accountability and metrics to gauge the process and figure out what's working and what's not working. In this whitepaper, we discuss, for those businesses, the advantages a helpdesk has over email and lay out just how easy it can be to win customer love.